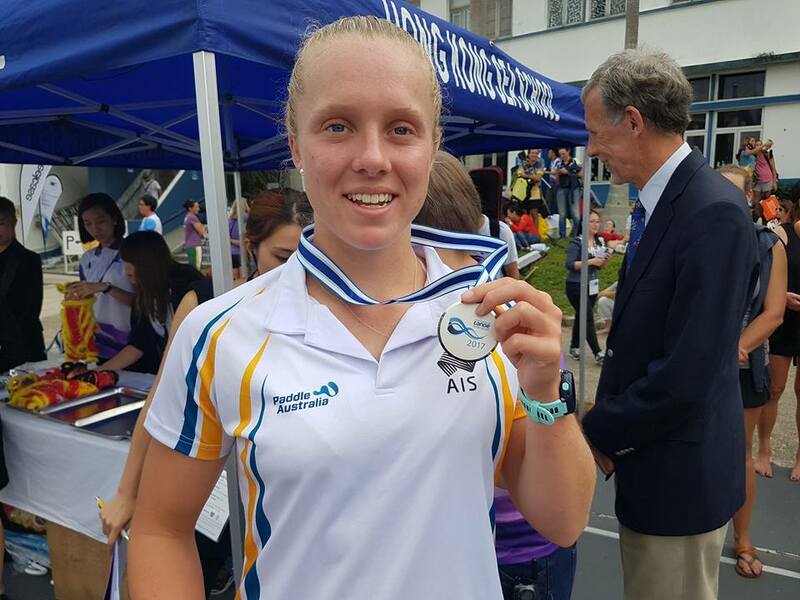 NSW teenager Georgia Sinclair has won a silver medal and there were masters gold medals for Katherine Atkinson, Sarah Davis and Julie Jenkinson at the ICF Canoe Ocean Racing World Championships in Hong Kong. 17-year-old Sinclair was involved in a tight tussle with South Africa’s Sabina Lawrie in the women’s U18 event, eventually finishing less than one second behind the 18-year-old in flat and still conditions. “I got something stuck on my rudder in the first four kilometres, and I had to stop and clear it,” an exhausted Sinclair said. “She got about 300 metres on me. I got her back again and got a bit on her, but she was so fast. “She deserved the win. I couldn’t have given it any more. It’s pretty cool, I didn’t expect that to happen. Elizabeth Wise was the best placed of the Australians, finishing 11th in the open race. “I’m absolutely stoked, I was aiming for 10th to 12th so to get 11th is fantastic in conditions that are not really suitable for me,” Wise said. “I’m more of a downwind paddler than a flatwater paddler, so I’m over the moon. Brea Roadley was the best placed of the Australians in the U23 division, finishing sixth, while Katherine Atkinson won the 40-44 age group, Sarah Davis the 45-49 division, and Julie Jenkinson the 50-54 group. The men’s race will be held on the same course tomorrow, with much rougher weather conditions forecast.